Despite good intentions, communication and connections between health care providers can break down because of the complexity of the system. As a result, patients may not always get timely access to care. But that’s changing in Chilliwack, Agassiz-Harrison, and Hope, where family physicians, the Chilliwack Division of Family Practice and Fraser Health Authority Home Health and Home Support partners have come together to strengthen connections between providers, and ensure that patients receive responsive, timely, consistent care. Establishing community care teams has involved Fraser Health realigning Home Health and Home Support nurses and support staff into new roles, to work as part of a primary care team that supports patients with advanced health care needs in their homes, many of whom are frail elderly patients with chronic conditions. 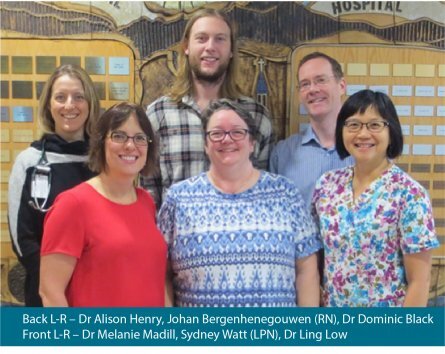 The approach of creating teams in which primary care providers, nurses and community providers work together to support frail elderly patients in their homes was inspired by the success of the “Nurse Debbie” model, started by the Fraser Northwest Division in 2016. In the Chilliwack-area model, licensed practical nurses (LPNs) and registered nurses (RNs) work together and collaborate with family doctors and/or nurse practitioners to provide home support, home care nursing, and case management services; chronic disease and palliative care support; and arrange for services from other allied health professionals, including occupational therapists, physiotherapists, and social workers as needs arise. In keeping with a truly integrated approach to care, community health workers – who generally know clients intimately – are part of the team and meet daily with the nurses to communicate changes about patients. In Chilliwack, the first nurse team was introduced in January 2017. Johan, an RN, had home care nursing skills. He partnered with Sydney, an LPN, who had a home support background. Madill recalls the family’s immediate relief when she and the nurses came to visit. 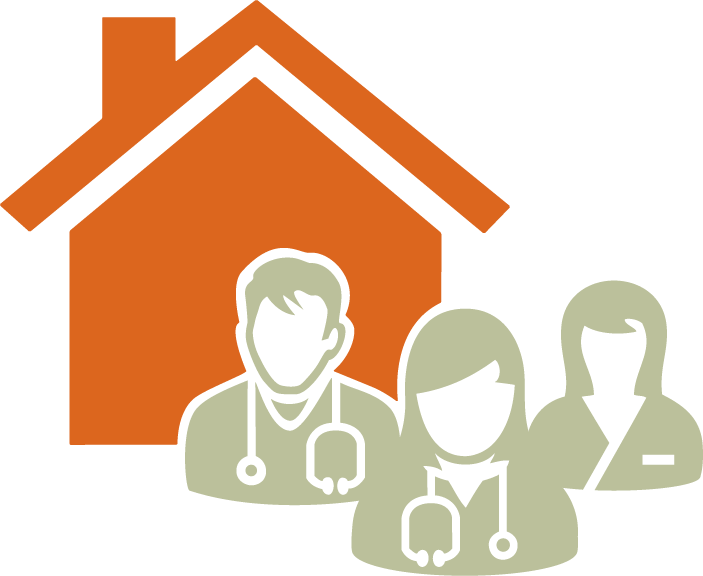 In any given week, as many as 20 different community health care workers visited the home. Faces were continually changing. But with new, consistent team members, care and supports were streamlined. The number of community health workers was soon reduced to 10. To take the model one step further, each team is connected with two other teams in groups called “hubs.” In the hubs, the teams can further support each other and share the services of allied health care providers and community health workers, who stretch between teams. Over time, through the broader system of hubs, the teams will also be able to support other vulnerable patient populations. Early measurement is pointing to success. Over a ten-month period, the overall efforts of the first hub-team resulted in an estimated 19% reduction in ER visits and 21% reduction in inpatient days.1 Other teams are also showing positive results. With data supporting clear benefits for patients, the number of teams has since expanded. 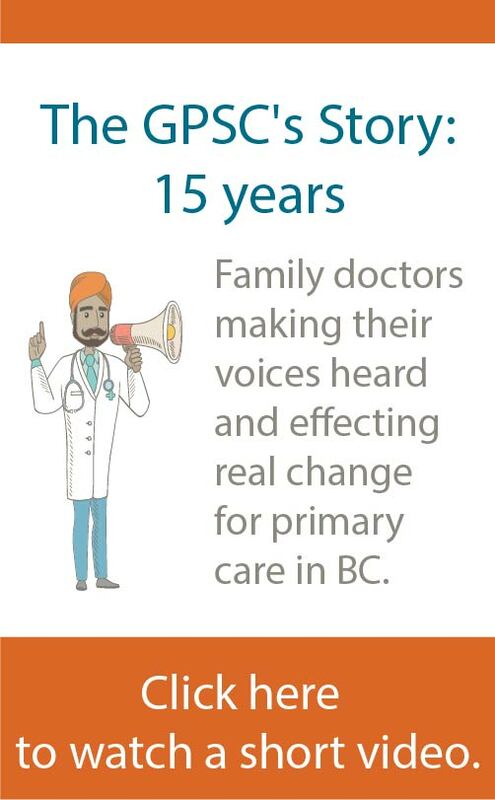 There are now 24 teams supporting all of the family physicians and nurse practitioners in the region and approximately 1200 patients across Chilliwack, Agassiz-Harrison, and Hope. Each team has a focused caseload of frail elderly patients who are attached to a physician’s group. “This is not just change. We are transforming how we work,” says Catherine Wiebe, Director, Clinical Operations, Chilliwack/Agassiz/Hope, Fraser Health. 1 Fraser Health projected acute care utilization (without hub-team services) based on average utilization, compared to actual acute care utilization for 69 patients (also called “clients”) with hub-team services, for a ten-month period from March 2017 to January 18 2018. Each patient on Team 1 avoided 0.5 ED visits, translating to 27 ED visits avoided in total, or a 19% reduction. Each client on average avoided 5 hospital bed days, translating to 184 bed days avoided in total, or a 21% reduction.